I am on a roll today, I think this is my third post! I’m writing up this blog post while trying to watch The Bachlorette, but for some reason I kind of hate this season. I am actually surprised I dislike it so much, because I really liked Des when she was on the Bachelor with Sean. I don’t know what it is about the season! Maybe it just seems so much more fake for some reason. Does anyone else feel this way? Anyways, before I tell you about all of the stuff I want to do this Summer, I need to fill you in on my delicious creation I made for lunch earlier today. 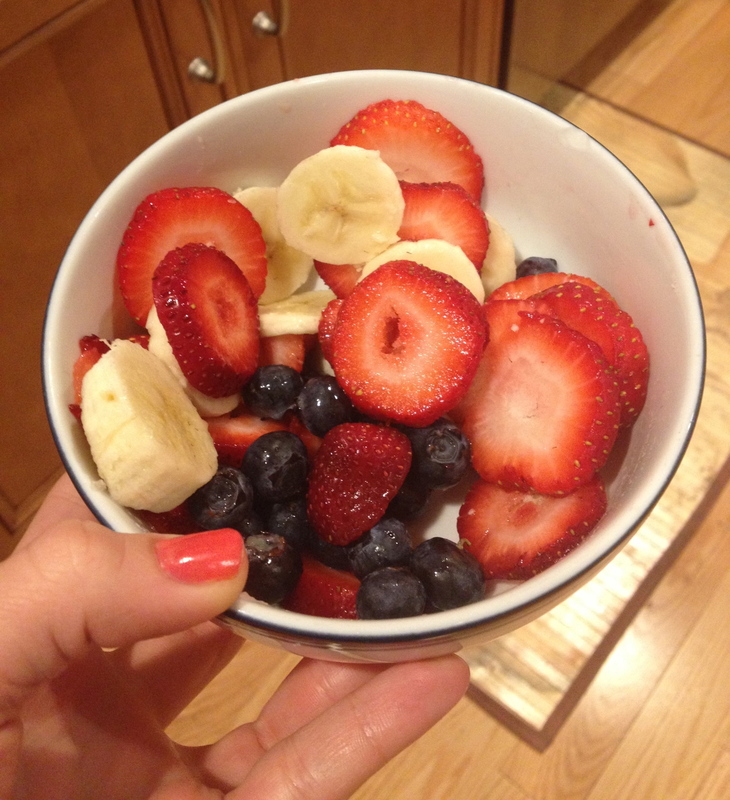 When I got home from the gym, my stomach was grumbling so I got started on my lunch. I made a tuna salad type meal with the addition of a few ingredients you may think are odd to be mixed with tuna. 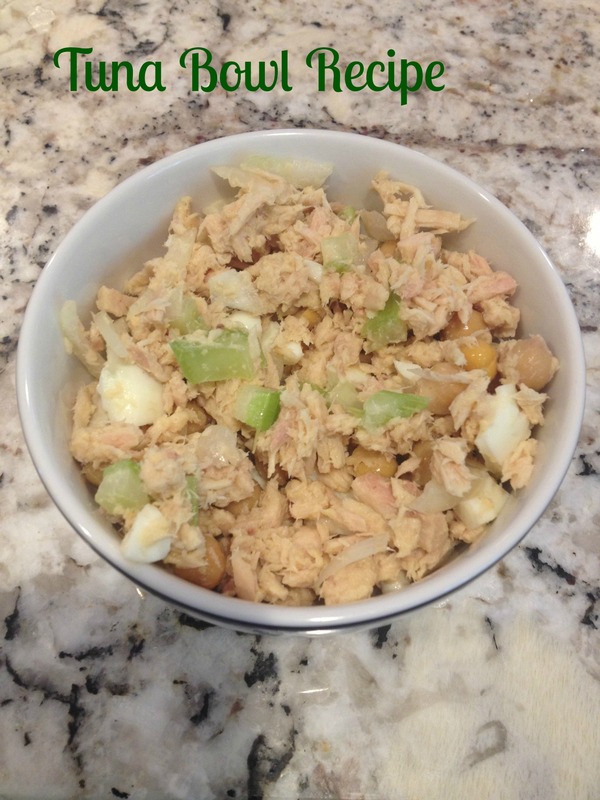 But just trust me on this, it’s so good, and so much healthier than your typical tuna salad. You just mix it all together and Voila! I know it sounds weird, but don’t knock it till ya try it ;). 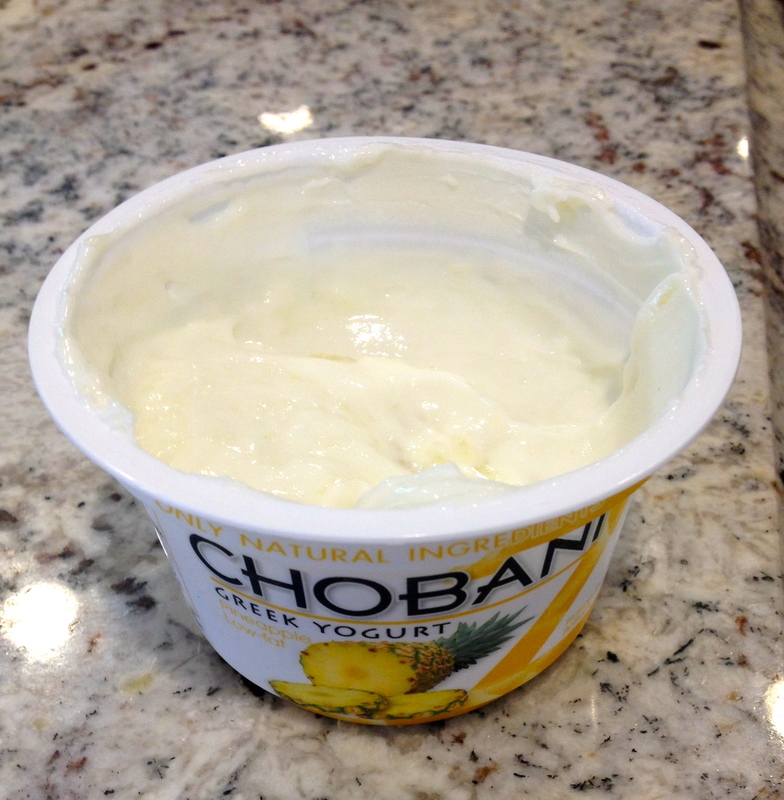 A little while later I chowed down on some Pineapple Greek Yogurt, my new favorite kind. 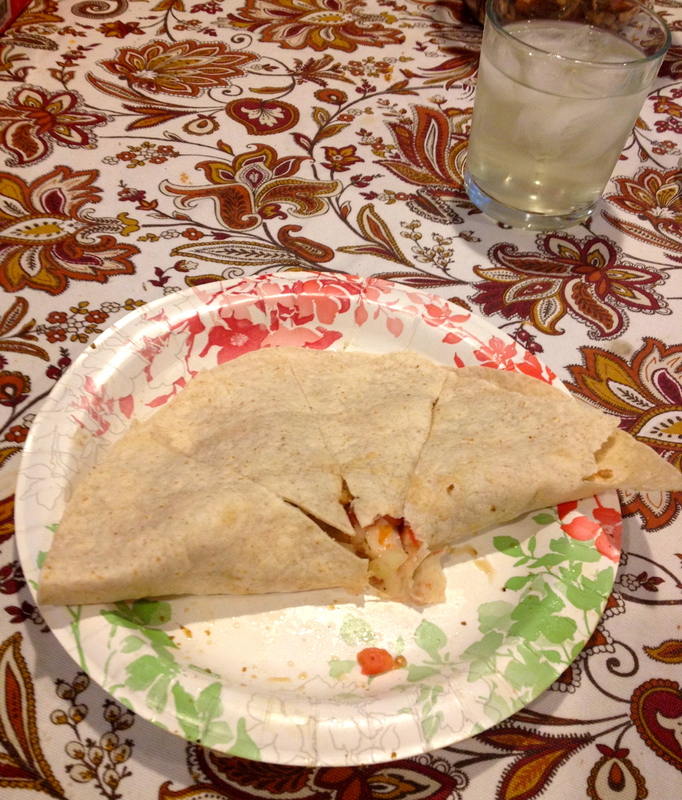 For Dinner, I made a simple chicken wrap with salsa, baby bell cheese, and onions. And, for dessert, a fruit bowl. Now for my, whats coming up this Summer list! July 15th-25th Israel with my friend Emily! 1) Go hiking. I have been wanting to go hiking for seriously SO long, it needs to happen! Hopefully I will get a chance to go to Sugarloaf Mountain and Great Falls. 2) Pick fresh fruit and go to a Farmers Market. Can you believe I’ve never been to a Farmers Market? I know this will happen this Summer because there is one right by my house and Amy loves to go, so I’m pretty sure I can convince her to go on a Sister Veggie Date. 3) Go to either an amusement park or a Water park. The last time I went to an amusement park was my 9th grade Physics trip to Six Flags. UM, this needs to change. I don’t even know if I’m still scared of roller coasters haha! 4) Read the Harry Potter series. I am in love with all the movies, but have never read the books. Wendy and John gave me a kindle this past Christmas, so I plan to read them all on that. 6) Finish my Senior Year scrapbook. Yes, I still have not completed my scrapbook from 2 years ago :(. 7) Go to an Orioles and Nationals game. 8) And, lastly, I want to run a 10k! What are your plans for the Summer?! Now those are healthy! I should try some of them out!